Popping the cork on a bottle of champagne, Bibi Gromling filled awaiting flutes with bubbly and welcomed guests to the grand opening of Ocean Art Gallery at its new location on Moody Boulevard in Flagler Beach. The gallery is owned and managed by Frank Gromling, a businessman and environmentalist. The gallery’s portfolio includes international artists, along with regional talent. Gromling sets the bar high and the new space reflects that. Floor-to-ceiling windows raise the gallery’s visibility, providing plenty of natural light. . Ocean Art recently welcomed Rachel Thompson, Flagler County's 2015 artist of the year, to the gallery and her work adorns the walls. “Rachel Thompson’s addition to the gallery is more than just having one of the best artists here," Gromling said. "She is a very special person that the gallery is so excited to have here. Thompson will also put her talents to work curating the gallery. The new location also offers curved walls and higher ceilings to showcase the artists in his gallery. The vibrant colors of the paintings on display stand out against corrugated metal used as a backdrop in sections of the gallery. 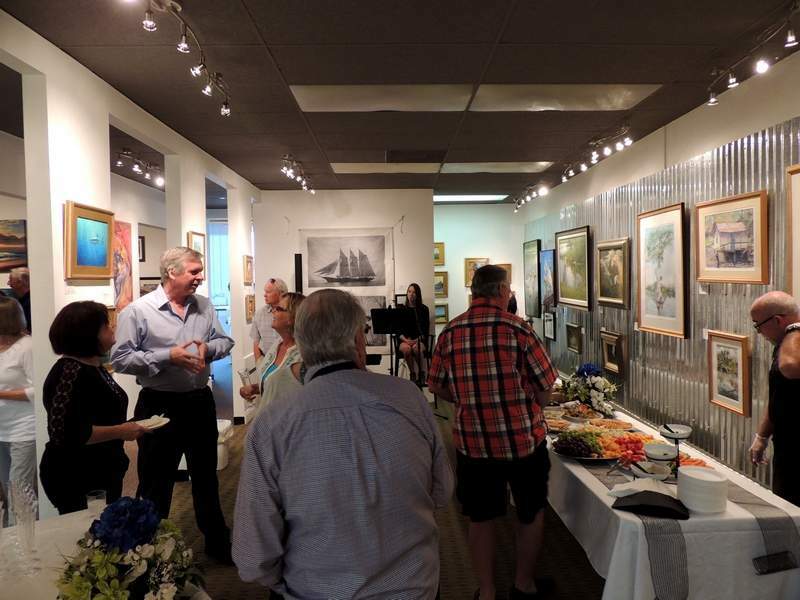 Fans of Ocean Art Gallery expressed amazement over the gallery’s elegant transformation. “This is like world-renowned, in some aspects,” said Flagler County Commissioner George Hanns, an amateur painter and photographer. “The talent, when you look at the beauty of the work, it’s amazing. 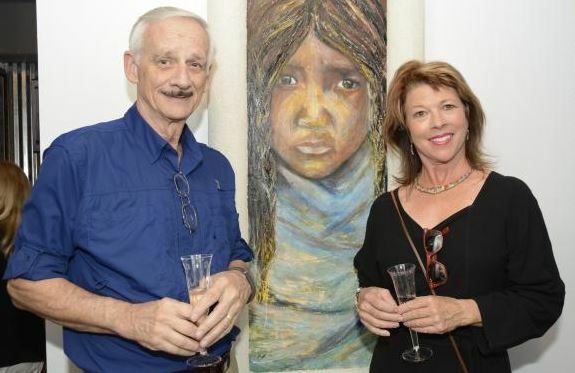 With various art organizations supporting each other’s efforts, Hanns said he sees what is happening on the local art scene as a shot in the arm for the arts in Flagler County. “We hope people will come here to see some of the talent we have, which is some of the best in the state, if not nationally,” said Gromling. Ocean Art Gallery is at 206 Moody Blvd., Flagler Beach. Hours are noon to 6 p.m. Tuesday through Sunday, and by appointment.